To try to spread some joy this holiday season, the Pacers paid a visit to patients at the Peyton Manning Children’s Hospital at St. Vincent’s on Tuesday. 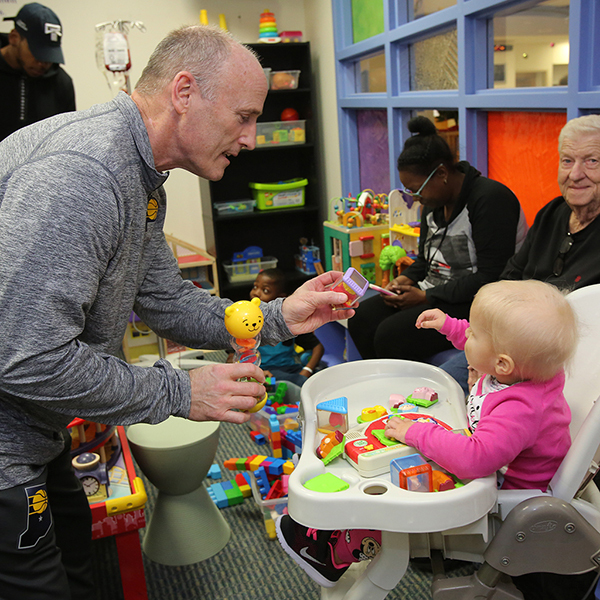 Pacers coaches Nate McMillan and Dan Burke and players Glenn Robinson III and Bojan Bogdanovic were accompanied by members of the Pacemates and Boomer during their stop at the hospital. They brought assorted gifts with them, took pictures and signed autographs and had a pizza party with the youngsters and their families. 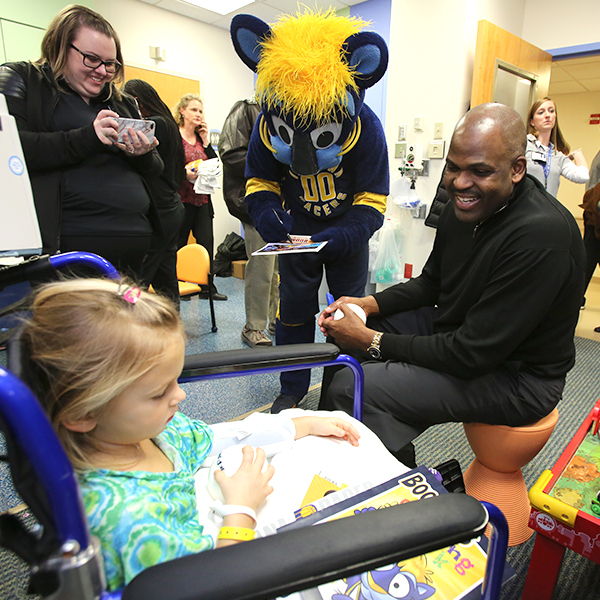 For head coach Nate McMillan, he looks forward to days like Tuesday and just wishes the children make a full recovery.